This entry was posted in asylum seekers, Politics, Uncategorized and tagged politics. Bookmark the permalink. 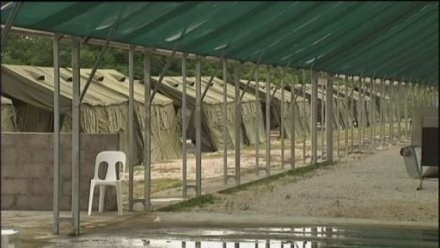 8 Responses to Nauru …What the hell is going on? I am unsure about the facts, but isn’t Nauru pretty much bereft of an economy and we (Australia) would be giving them the biggest chunk of cash they would earn to dump Asylum Seekers? If that is the case, A. Why is this issue not massive in our media here and B. Why don’t we interfere & tell Nauru to get act together? There is something very odd going on here, Betty. I am becoming quite afraid of the whole blanket of secrecy happening with this government. I read somewhere once it was expected that at some point the entire population of Nauru would become refugees themselves. For the life of me I can’t remember where or when I read that. I share your fear Robyn..when have we had 3 highly regarded Australians deported and the government of the day offers no comment. Now emergency rule. NZ proposing sanctions and we dont even talk about it. Thank you for the post Betty. It concerns me that so many Australians are so malleable they accept the government propaganda. It concerns me Nauruan’s are ‘grist to the mill’ for (successive) Australian Governments in the implementation of offshore processing for asylum seekers. A small island, sadly stripped of its resources and left. Simply saying ‘it’s an internal matter’ is, in my opinion, wrong. 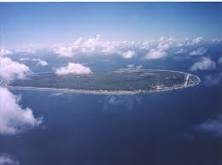 Economically Nauru needs Australia, politically the Australian Government needs Nauru. The two countries are linked, thus I think what happens in Nauru should be of concern to Australia. Instead, what we have is a government treating its own population with disrespect, hiding the operation behind a military fire-wall, leveraging its propaganda machine to ensure the malleable folk in the Australian population remain just that, malleable, and compliant. If the refugees on Nauru are being treated humanely then there should be no need for secrecy! If they are not being treated humanely then OUR govt should be investigating. Surely enough red flags have been raised OR are these moves condoned or dare I say, even suggested, by our govt? We have to face the fact that the refugees on Nauru sought refuge IN Australia. The Australian govt transported them to Nauru. The refugees therefore must remain the responsibility of the Australian govt. There can be no excuse for out of sight out of mind! In our democracy, OUR govt is elected by US to represent US! Therefore anything done by OUR govt is done in OUR name. If we want information on actions taken in our name we should be provided with it by OUR representatives! This is not happening with this govt so how do we hold it to account? Surely history teaches us that a whole nation is tarnished by the actions of its government. Do we really want to be known as a nation without compassion for our fellow man? If we don’t, then we can’t allow the government to abrogate its responsibility to those we have sent to Nauru! Passionate Piece Bett,,, & up to the usual high standard! “A nation is tarnished by the actions of its Gov”We are ashamed & embarrassed by our As/seeker policy,treating the very desperate so disgracefully,& yes the barrier of secrecy non accountability is a genuine threat to true democracy…a deceitful Gov does indeed tarnish allof us!